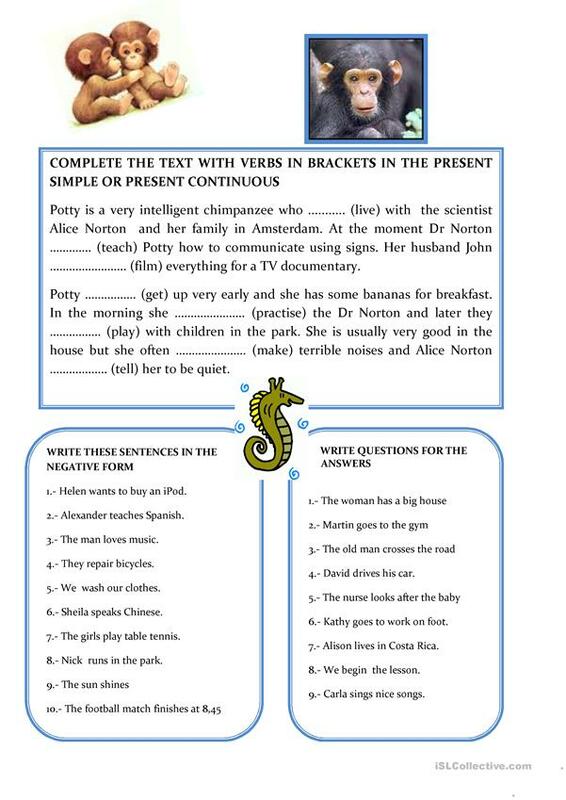 Exercises to practise these two tenses. There is a nice reading too. The present downloadable teaching material is a great resource for high school students at Pre-intermediate (A2) level. 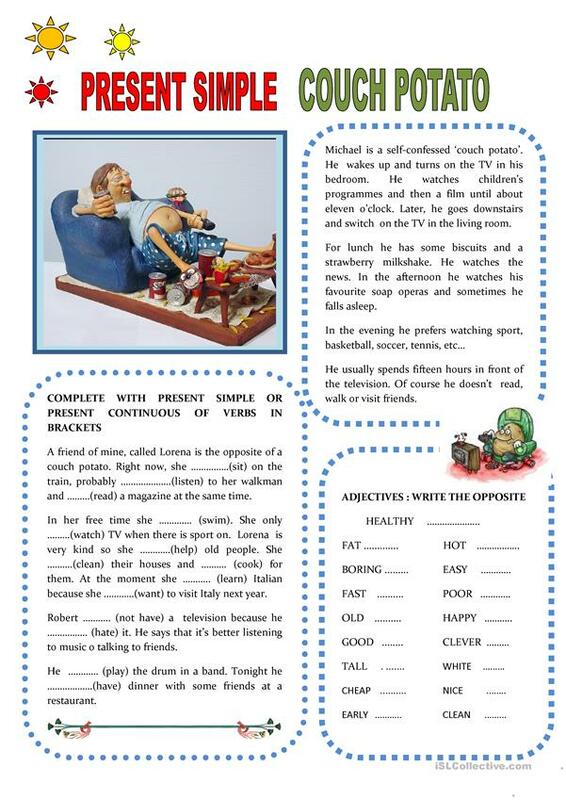 It is a useful material for practising Present simple vs continuous (progressive) tense in English, and is a valuable material for improving your class' Reading and Writing skills.